The year 2017 marks the 100th anniversary of the Unites States of America formally entering World War 1. In Wayne County, Ohio there are few remaining memorials commemorating those killed in WW1 or marking the historical event. 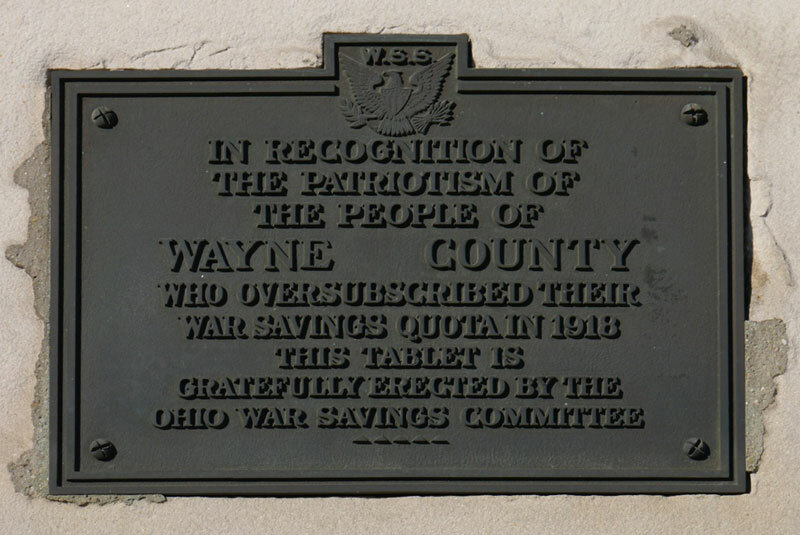 WW1 War Savings Stamps quota recognition plaque embedded in stone on the Wayne County Courthouse. Wooster, once reportedly had an WW1 Doughboy statue that stood somewhere in town which has long since disappeared. Some of the trees standing along W. Bowman St. on the Cornerstone School property were originally planted in memory of local WW1 soldiers. 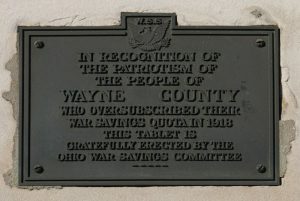 There’s a plaque on the side of the Wayne County Courthouse that commemorates the citizens of Wayne County for oversubscribing their War Savings quota in 1918, and tucked away on the second floor wall of McGaw Chapel on The College of Wooster campus is a memorial plaque honoring The College of Wooster men who died in service to their country. 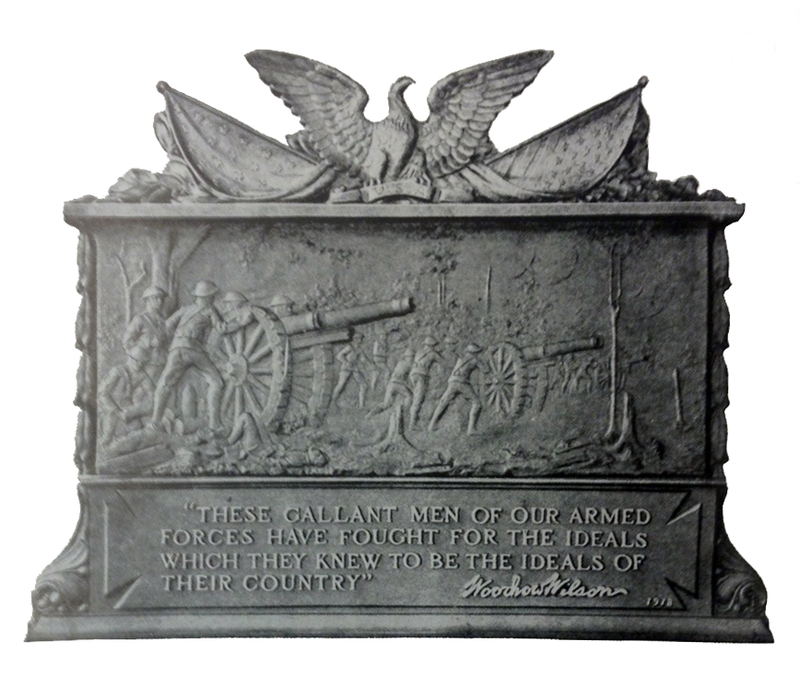 WW1 Memorial Plaque on the wall of MaGaw Chapel in Wooster, Ohio. To most people living today in Wayne County Ohio, they are only names on a plaque. 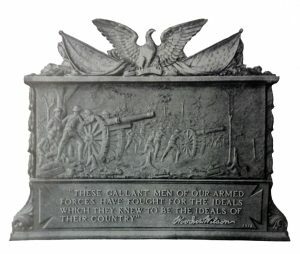 There are few, if any, who have personal recollections of any of the men whose name appears on the plaque. 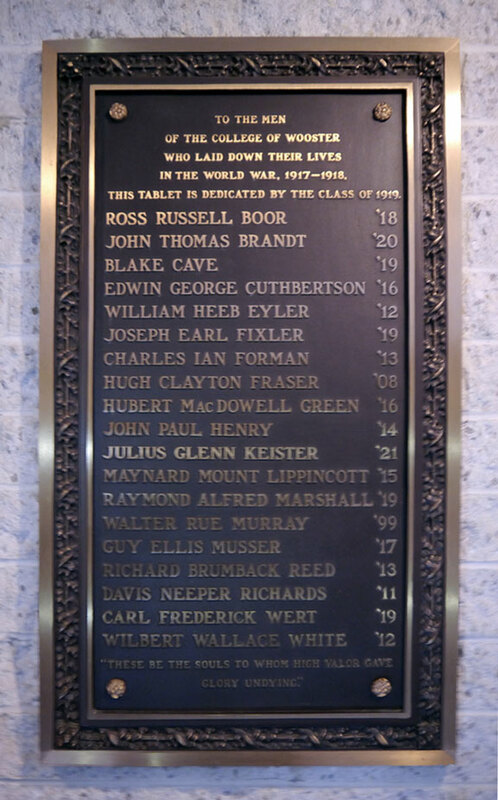 Some were local guys, and some were temporary residents while attending school at The College of Wooster, but all were a part of our community, in some small way, and American citizens that should be remembered and honored for their life sacrifice. The planned original WW1 plaque as it was described in the local newspaper in 1919. 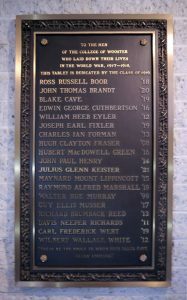 The WW1 Memorial plaque was given by the College’s class of 1919 to the College. It was a long standing tradition that a senior class leave some sort of remembrance on campus at graduation. A number of these class remembrances can still be seen today around the campus: the 1874 Rock and the 1907 Sun Dial, come to mind. The class of 1919, deeply touched by the loss of their fellow students, chose to leave a fitting and appropriate gift memorializing their fallen classmates. The plaque was originally placed on the wall in the south transcept of the old Memorial Chapel because attending weekly Chapel was a student-wide requirement in those days, so they knew everybody on campus would see the plaque. However, when Memorial Chapel was designated for demolition during the Summer of 1969 due to structural integrity issues from a termite infestation, the WW1 Memorial plaque had to be removed and relocated during the destruction. Later when McGaw Chapel was built to replace the destroyed Memorial Chapel, it was then remounted on MaGaw’s second floor wall and can still be seen there today. 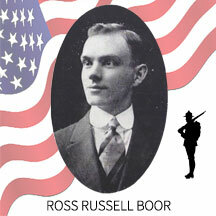 Ross Russell Boor-This stern, quiet youth hailed from Conotton, in Harrison County, Ohio and was a good student that liked his books. He was a born business man. During his Sophomore year he took possession of the Lincoln Highway Cafeteria, and successfully applied himself to filling empty stomachs, aside from keeping up with his college studies.– Notes from 1918 College yearbook. 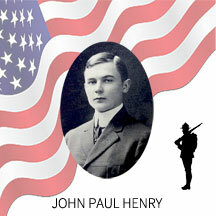 He died of disease: pneumonia and pericarditis on November 30, 1917 in France while serving in the Engineers Corps of the American Expeditionary Forces. 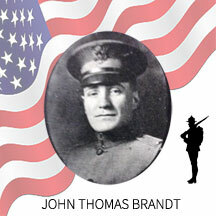 John Thomas Brandt (Wayne County resident)-Was born in Wooster and later the family moved to Smithville, Ohio where he attended Smithville High School and then graduated from Wooster High School. After which, he enrolled in The College of Wooster class of 1920 but the World War broke out and changed the path of his life forever. After joining the service he became a Lieutenant in command of the Scouts and Snipers of the 1st Battalion, 60th Infantry. He was severely wounded by machine-gun fire during the battle of Cunel, France on October 14, 1918. He initially survived his wounds which were dressed in a field first-aid hospital. However, while he was being transported back from the fighting on a stretcher by two stretcher-bearers, a shell dropped on them and all were killed. Several men under his command saw his dead body lying on the battlefield the day after the battle of Cunel in which he lost his life. William Heeb Eyler-Had a “Scienfific” mind. Born in 1890, he graduated from Chillicothe High School in 1908, and attended three years at The College of Wooster, where he was a member of the Alpha Tau Omega fraternity, before heading off to war. 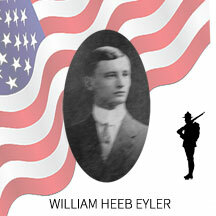 He was described in his 1912 College yearbook as, “A quiet but learned lad.” The President of the United States of America, authorized by Act of Congress, July 9, 1918, presented the Distinguished Service Cross (Posthumously) to First Lieutenant (Infantry) William H. Eyler, United States Army, for extraordinary heroism in action while serving with 166th Infantry Regiment, 42d Division, A.E.F., northeast of Chateau-Thierry, France, 2 August 1918. Never faltering in his advance during the attack on the hill commanding Marcuil-en-Dole, and disregarding all personal danger, Lieutenant Eyler led his company forward through heavy fire until he was killed. He is buried in Oise-Aisne American Cemetery and Memorial in Picardie, France. Joseph Earl Fixler-Breezing in from Medina County, Ohio he was Freshman at The College of Wooster in 1917 who was quoted in the yearbook as wanting “To be a Chippewa Lake scullion.” He never saw Chippewa Lake again after joining the service. 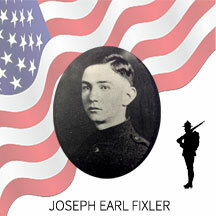 Private Joseph Earl Fixler was sent to Meuse-Argonne; Defensive Sector with the American Expeditionary Forces 101st Infantry, 26th Division, and was killed in action October 23, 1918. He is buried in the Meuse-Argonne American Cemetery and Memorial in Lorraine, France. Charles Ian Forman-Was a Presbyterian Missionary kid. He was born in Punjab, India, and saw more of the world before he graduated from high school than most people see in a lifetime. Like most Missionary kids of the time they returned to The College of Wooster for their education and he was in the Class of 1913. He joined Princess Patricia’s Canadian Light Infantry (Eastern Ontario Regiment) where he was four times wounded and four times returned to the trenches before being killed on October 30, 1917 during an advance on Passchendaele on the Western Front when a shell exploded at his feet. He is buried in Ypres (Menin Gate) Memorial in West Flanders (West-Vlaanderen), Belgium. 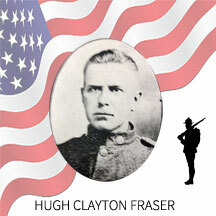 Hugh Clayton Fraser-Came to Wooster from East Palestine, Columbiana County, Ohio where he graduated from East Paletine High School in 1903 and then from The College of Wooster in 1908. It was noted in an old College yearbook that, “Though modest, on his unembarrassed brow, nature hath written– gentleman.” He entered the Army for military service in June of 1918. 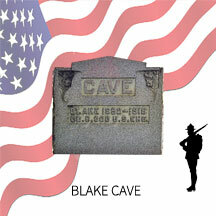 Assigned to Camp Sherman, transferred to Camp Mills, then transferred to Camp Merritt, N. J., for training. He was after a short time declared to be qualified for overseas service. On September 25, 1918, after a brief illness at the point of embark and not yet completely recovered, he sailed on the Scotain for France. Contracting pneumonia immediately, he died September 28, 1918. The body of Hugh Clayton Fraser was buried at sea. Hubert MacDowell Green-Hailed from Montgomery, North Carolina and was in the Class of 1916 at The College of Wooster. 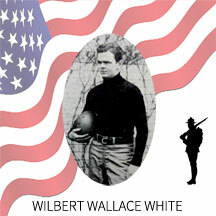 He served in the Army as a Musician, 3rd class, in the 323rd Infantry, 81st Division, also known as the “Wildcats”. 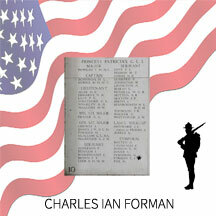 They organized as a National Division of the United States Army in August 1917 at Camp Jackson, South Carolina. The division was originally organized with a small cadre of Regular Army officers, while the soldiers were predominantly Selective Service men drawn from the southeastern United States. After organizing and finishing training, the 81st Division deployed to Europe, arriving on the Western Front in August 1918. Elements of the 81st Division first saw limited action by defending the St. Dié sector in September and early October. After relief of mission, the 81st Division was attached to the American First Army in preparation for the Meuse-Argonne Offensive. 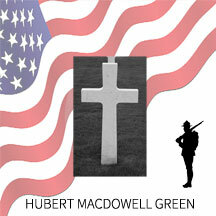 Hubert M. Green was killed on Oct. 17, 1918 and is buried at the Meuse-Argonne American Cemetery and Memorial in Lorraine, France. John Paul Henry-Came to Wooster from Fremont, Ohio and studied philosophy and joined a fraternity while at the College of Wooster. The 1914 yearbook states he was an eloquent orator and modest fusser who was planning on going to Princeton next year for larger world’s to conquer. He was one of the Fremont boys of whom Wooster may be proud to say: ‘I started him in the way he should go.‘ When the war broke out he joined the Army and was a Private 1st Class, in the 107th Infantry, 27th Division and was killed October 21, 1918 during the Meuse-Argonne Offensive. He is buried at the Somme American Cemetery and Memorial in Picardie, France. 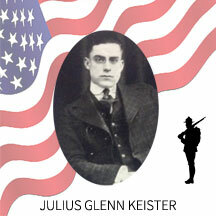 Julius Glenn Keister (Wayne County resident)-Glenn, as he was better known was a 1916 graduate of Wooster High School and entered The College of Wooster with the class of 1921, and being one of the most popular men on the hill was elected president of his class. This was not the only honor given him while at the College: he was manager of the Men’s Glee Club, and became leader of the Students’ Army Training Corps band, and member of the Franklin and Athenaean Literary Societies. He organized many of the social events enjoyed by his classmates. Everyone admired him, and he had many friends not only at college but also throughout Wooster and Wayne County. In October of 1918, Julius Glenn Keister contracted the flu from his self-sacrificing work in caring for his flu-stricken comrades. This disease developed into pneumonia, and he died at his parents home in Wooster on October 20, 1918. 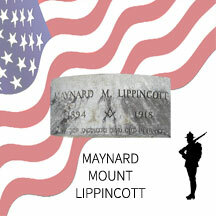 He is buried in Wooster Cemetery–Notes from his “In Memoriam” page in 1920 College yearbook..
Maynard Mount Lippincott-Came to The College of Wooster from Marion, Ohio and was a graduate of the Class of 1915. He joined the service and was placed in the American Expiditionary Forces and was a private 1st class in Company F of the 309th Engineers, 84th Division. 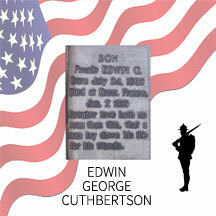 He died of pneumonia in France in 1918 and is buried in his hometown: Marion Cemetery. Raymond Alfred Marshall-A Hoosier farmboy from Logansport, Indiana who arrived in Wooster and was quoted in the 1920 yearbook that he wanted “to be a fusser.” which at that time, meant to treat people with excessive attention, care, or affection. Which is likely why after registering for the WWI draft on June 8, 1917, he was trained and placed in the 318th Field Hospital, a subordinate of the 305th Sanitary Train (ambulance service), of the 80th Division of the American Expeditionary Forces where he could help people. This unit participated in the St. Mihiel and Meuse-Argonne engagements with the Germans in France. 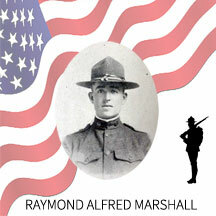 Sergeant Raymond A. Marshall survived his service in France during the war and returned home only to die two years later on September 13, 1921.–See the book, History of 318 Field Hospital, by Thomas Nelson. Rev. 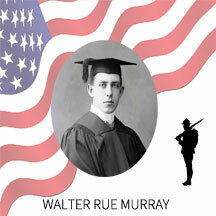 Walter Rue Murray-The oldest of the College men who went off to war. He grew up in China as a Presbyterian missionary kid and upon returning to the United States made a public confession of his faith in the Presbyterian Church at the age of twelve. He graduated from The College of Wooster in 1899, and entered the Seminary at Princeton in 1900 graduating in 1903. He was licensed by the Presbytery and installed as pastor of a church in Maryland, then moved to another church in Holmesburg, Pennsylvania in 1909 and stayed there until October 22, 1917 when, at the age of 40 and married with two children, he resigned to volunteer to serve the war effort with the Y.M.C.A. which provided programs and services that addressed both the temporal and spiritual needs of American service members. While serving the spiritual needs of soldiers from a canteen near the front in the Chateau-Thierry sector, around Condenn-Brie, France, he was killed when two shells fell on either side of him and exploded on July 16, 1918. He is buried in Oise-Aisne American Cemetery and Memorial in Picardie, France. 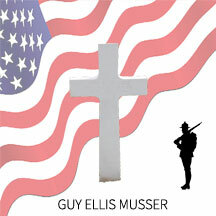 Guy Ellis Musser-Born in Shreve, Wayne County, Ohio and moving with his family to Lodi, Ohio the country boy graduated from The College of Wooster with the Class of 1917 and then went off to war. He was killed in action on October 5, 1918 in the Meuse-Argonne Offensive in France while serving as a private in Company K of the 28th Infantry Regiment, 1st Infantry Division. His remains are buried in the Meuse-Argonne American Cemetery and Memorial in Lorraine, France, and a marker of remembrance for him can be seen in Woodlawn Cemetery in Lodi, Ohio. 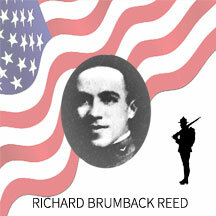 Richard Brumback Reed-Came to Wooster from Van Wert, Ohio and graduated in the Class of 1913. 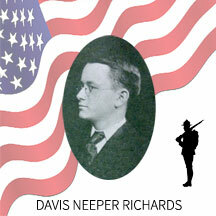 He first enlisted in the Reserve Corps at Ithaca, NY on July 11, 1917. He attended the School of Military Aeronautics in Ithaca NY, then was assigned to Detachment Signal Enlisted Reserve Corps, England. He was honorably discharged with a rank of Private 1st class on May 16, 1918 to accept a Commission of First Lieutenant and was assigned to the American Expeditionary Forces that day. Lieutenant Reed was killed on June 5, 1918 when an airplane he was in plunged into the sea about two miles from Turnberry, Ayshire, Scotland where he was receiving final training with the No. 1 Royal Flying corps and No 2 Auxiliary School of Aerial Gunners. At first, after the airplane accident, Lieut. Reed’s body was missing, but was later found on June 24th, nineteen days after the accident which cost the life of the aviator. Initially his body was buried in Europe but after the war ended, his remains were returned to the United States, and he was laid to rest, in his family plot at Woodland Union Cemetery in Van Wert, Ohio.–The book, Ohio Military Men, 1917-1918, details the service of Richard B. Reed. Carl Frederick Wert-A young man from Bucyrus, Ohio who was a member of the Class of 1919 and was quoted in the College yearbook of 1917 that his goal was “to get married.” However, the war changed his goals and he signed-up for the service. He attained the rank of first sergeant in the Quartermaster Corps of the American Expeditionary Forces (AEF). The general objective of the Quartermaster service in the AEF was to maintain a stock of ninety days’ supply in France. They supplied the soldier with food, clothing, personal and housekeeping equipment, and performed services closely related to those supplies: laundry and salvage, bathing and disinfection. Identification and care of the dead were also Quartermaster functions. 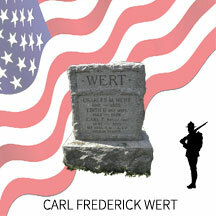 Carl F. Wert died in France on February 20, 1919. At one time, these men walked the streets of Wooster and were a part of our community for a short time. Their names on the plaque represent lives that came to an abrupt end. Hopes, dreams, ambitions, love, all lost. Their deaths are like heavy stones dropped from a great height into a pool of water. The ripples are strongest and faster closest to the center but spread farther apart over time. Although the ripples of their deaths seem far away now because of the length of time that has passed, and the fact that these 19 men were but a few, of the thousands of people who lost their lives during WW1; they were our guys. Thank you for this. Our son is a graduate of The College of Wooster and I have just completed researching the location of the graves of his two Great Great Uncles who died in action in France in 1916 and 1917. (They were Canadians) We are hoping to visit their graves in the near future and will also try to visit some of the Wooster men.